Not all comedians are created equally, when you want to spend some budget on having an amazing pinnacle performance for your peers personal prosperity, you must hire the best Alberta comedian. Get comedian James Uloth to entertain your function. Don’t just take our word for it, please read the reviews at the bottom of the page. James has been hired by many Alberta companies to entertain their event. From big to small, like McDonalds and Home Depot, to little town local companies of 15 people who had a pot luck and needed some chuckles. Also 4 of those people brought marshmallow salad, nobody eats that stuff. Nobody ever said I love salad and I love marshmallows lets combine them. When you need to hire an Alberta comedian, get the one that speaks to the heart of blue collar country, but can also make the suits laugh. Everyone in the room from back to front can join in the bonding power of laughter! The balance of bringing laughs to a whole room takes years of experience. You can count on one 90’s oil workers hand the number of comedians in Alberta who can play a corporate event, there’s 3 maybe 4… the same number of fingers they have left (zing). Safety first people, that’s why you hire the comedian who brings the heat. Hire Alberta’s most requested comedian, he puts lots of dates on the calendar, and the reason he is so busy is because he brings an amazing show. The word is out, it’s a fun night of comedy. Don’t hold out to long, get the date secured and get put on the schedule. Performing nearly 100 shows a year, he keeps busy, he keeps adding fresh material, and he loves nothing more than entertaining your party. When it comes time to hire a comedian, don’t be afraid, that fear is illogical. What you need to do is hire the Alberta comedian who brings the high impact, high body count, high fidelity, high scoring, high fructose corn syrup, hi 5’in action to your party. 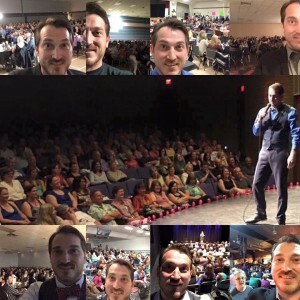 Finding a comedian for your corporate function can be a daunting task, especially when there are only have a handful of comedians in Alberta who are capable of entertaining a specific corporate audience. Finding the difference between having the most amazing comedy show possible or something that’s awkward for everyone is actually easier than you think to predetermine. Not all comedians are created equal. Only the few will work long enough, hard enough and have the wherewithal to reach the level of a corporate comedian. This amounts to only a handful spread across western Canada, with just a few in Alberta. 1. Do they have relevant experience? It’s not worth going with the cheapest entertainer. Think about it: would you go the cheapest surgeon, some guy who’s just gonna give it his best shot? I’m guessing not. 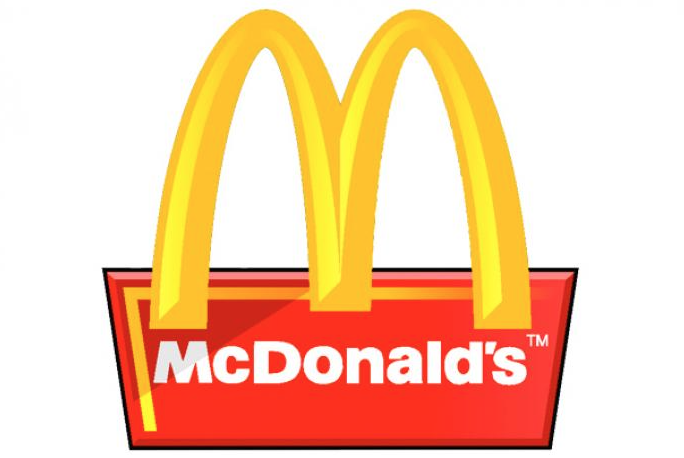 The road to becoming a professional corporate comedians takes many years of refining. James has been playing private functions and corporate events across Alberta since 2003. That’s a lot of experience he brings to every show! 2. Do they have positive reviews? Have other people said ‘this comedian played my show and he was amazing?’ If people loved the show, they’ll talk about it. 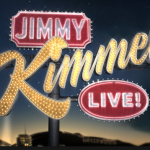 With a long list of reviews, James proves himself time and time again with consistently bringing a hilarious show. He’ll make you look good for hiring him! 3. Is the comedian still actively touring? Some comedians get stale and only come out of their caves for the big shows. This makes them become weak. Nobody wants some weak chump slinging jokes to their colleagues like it’s some kind of chore. James plays nearly 100 shows a year, many of which are in Alberta. He’s constantly updating his material and having fun while doing it. 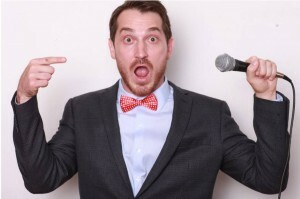 Coming to Elmwood Gold and Country Club Thursday July 13, is world touring comedian James Uloth, with supporting acts Alex Fortin and Adam Blank. James has performed in over 3,000 shows in 4 different countries. He’s been showcased in comedy festivals in Canada, USA and Scotland. You can hear his comedy regularly on satellite radio. Alex Fortin is a Stand up Comedian from Edmonton Alberta. He started performing at the age of 19, and has quickly become one of Western Canada’s most accomplished young acts. His honest stories and truth seeking rants have landed him appearances in The Okanagan Comedy Festival, The Edmonton Fringe Festival and The Main Event at The World Series of Comedy in Las Vegas. Stop by The Club House to get your tickets for what is going to be an amazing night of comedy. Looking to have a comedian for your fundraiser, corporate event, or Christmas party? James Uloth has become one of the nations leading entertainers for Standup Comedy. If you need a comedian who can work clean, James can provide you with an all ages show. If you want a comedian with content that’s middle of the road or adult oriented, James can provide that as well. There is no need to look any further, when you need to hire a comedian, get James Uloth to bring the laugher. 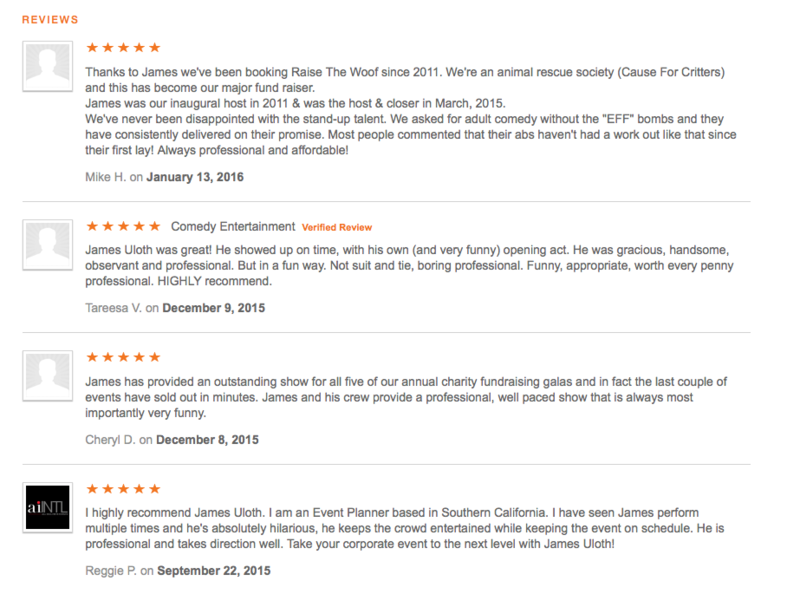 Since 2003 James has been providing high quality entertainment across USA and Canada, with many reviews and referrals for you to check out. With many happy customers, James brings a show that can be funny for everyone. Using a mix of story telling and pointing out the obvious in a room, he makes a bond with the audience as the adventure ensues. There is nothing quite as special as a comedian who can blend pre written material and the details from the evening. Hiring a comedian doesn’t need to be a hard task. Follow a few simple rules and you’ll get the best comedian possible. 2. Does the comedian have reviews, referrals, and video for you to check out? James has all of these. 3. Is the comedian available? Please use the contact methods below and find out if James can play your event. From 20 people or less for a small company, to a Christmas party of 400 people for multinational companies. James brings a hilarious show, that stays within the content boundaries you want. When you need a comedian you can trust, you need James Uloth. Hire a standup comedian who has captivated companies and associations of all sizes across the United States and Canada. His side splitting show communicates the hilarious contradictions that have become the status quo. His ability to point out the obvious brings out the hilarity we walk by every day, and reminds of how much humor is in everyday life. 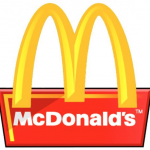 Companies like Mcdonalds, Halliburton and small local companies have all hired and enjoyed James’s show. Events in bars and comedy clubs can be adult material and usually anything goes. Since 2003 James have been playing clean corporate comedy shows and can adapt to any room. Being a long time performer on the comedy scene, if you want adult material James can bring that show as well. If you are looking to hire a comedian in Kelowna or the rest of the Okanagan Valley, you’ll want to check out James Uloth. Since 2003 James has been delivering his hilarious brand of comedy across Western Canada. Playing over 3,000 shows in 4 different countries, he has become a favourite for corporate events. He is also brought in for manyChristmas parties and fundraisers. With an ability to work at any content level, James is sought after for not only his clean show, but his adult oriented show as well. If you want to hire a comedian that speaks to a western Canada audience, James will bring you an amazing show filled with laughter. Always pointing out the obvious, his act feels tailored to the affair. Watch as he politely interacts with the audience and brings out those pink elephants in the room. 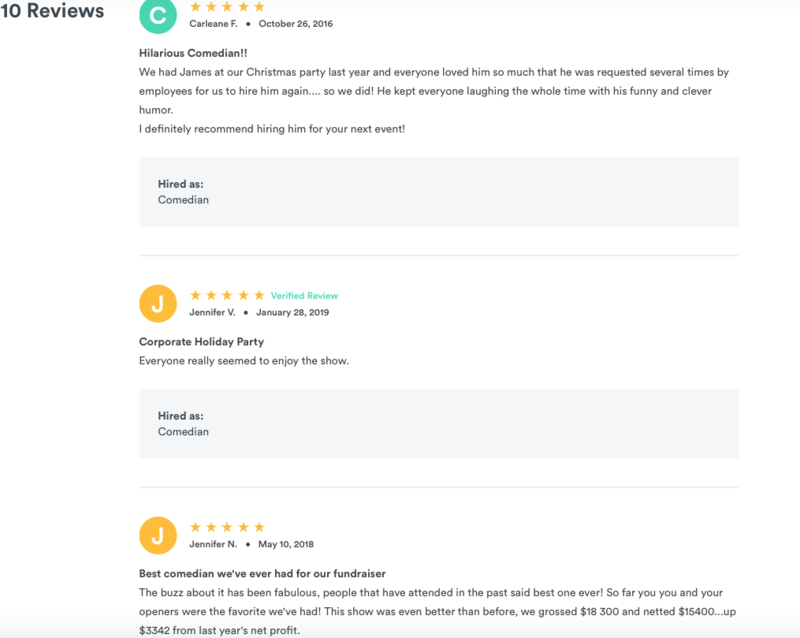 A comedian for a corporate event doesn’t need to be bland and barely funny, get a comedian with the reviews that shows how amazing his show is. 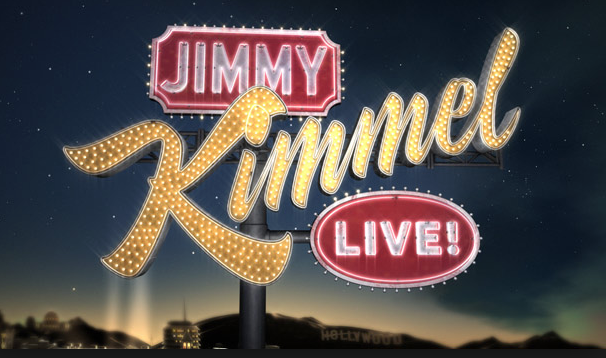 James has been featured at comedy festivals around the world, he is also regularly heard on satellite radio. Splitting his time between BC and Los Angeles, and every where in between. James ability to play to a diverse audience keeps him busy, and his fun professional demeanor keep him getting asked back. Thanks for reading and when you need to hire a comedian, get in touch and we’ll provide you with fun entertainment. In addition to having James Uloth we also have other comedians available. To reach James please email james@jamesuloth.com or call (323) 570 – HAHA. Or fill out the form below. Looking to hire a comedian for your show in BC? James Uloth provides high quality entertainment across British Columbia and the rest of western Canada. From Kelowna and Kamloops to Vancouver and Surrey. If you need a comedian with world experience and can play for a diverse crowd, James Uloth is your comic. Playing over 3,000 shows in 4 different countries, James is a well seasoned professional. With lots of reviews, referrals and videos for you to check out. James has a long resume of making people laugh and being a professional, dependable standup comedian. 1. Experience in playing your style of event: Are you hiring a comic for a corporate event? Do you need a comedian who can work clean? James can work anything from squeaky clean, middle of the road or adult content, if requested. Let James know the level of show and that’s the atmosphere he will bring. 2. Review some video: Make sure the comedian you want to hire has some videos for you to check out. 3. Is the comedian available? If you check James’s schedule and he is already booked, sometimes he can switch gigs around to accommodate. Please get in touch and lets make a memorable hilarious show happen. James has become a favorite comedian across Western Canada for fundraisers, Christmas parties, and corporate events. Get more information on hiring him for your event, and have some funny delivered directly to you.